Usually I posted my coloring pages at 100 dpi even though I create them at 300 dpi. Here's one for you at 300 dpi in PNG format so you can use it for digital scrapbooking. Click on the image for the full sized version. If you click the coloring page tag, you'll get the pages I've posted here. There are a few more at old home page here including a cute Statue of Liberty I drew for my daughter when she was about 7 and crazy about the statue. Thanks for another awesome page! I'll be spreading the word. OK you are AMAZING!!!!!!! !am So grateful for the work you have put on here and the beautiful examples of how they can be done. YOU totally ROCK! 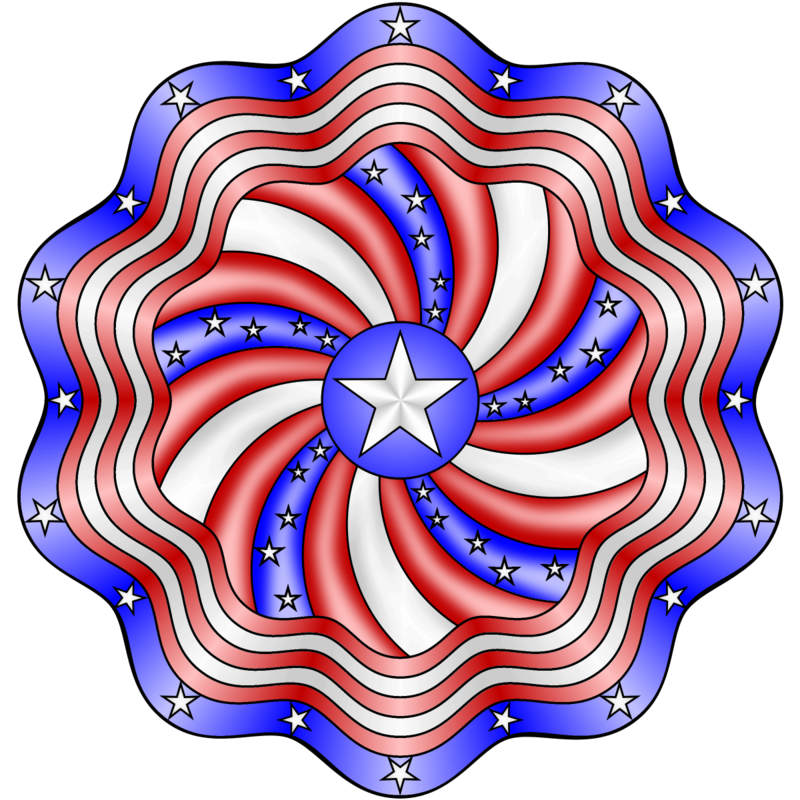 Thanks, Shala, for this great patriotic mandala!